Out & Out Original – 40% off Lighting. Out & Out Original – Expires: 11/21/2018 – Get 40% off Lighting. 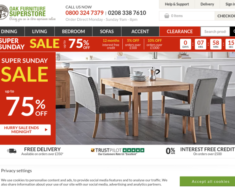 Oak Furniture Superstore – 5% off any order. 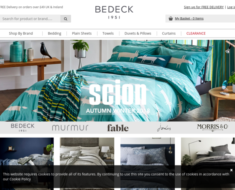 Bedeck – 10% off your first order over £50. Currys – 10% off Marked Price on All Built-in Appliances Over £299. 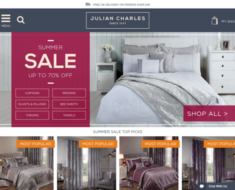 Julian Charles – Extra 20% off Selected Products, Plus An Extra 10% off. 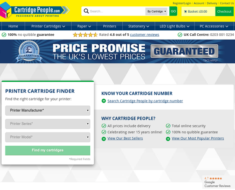 Cartridge People – 25% off LED Light Bulbs. 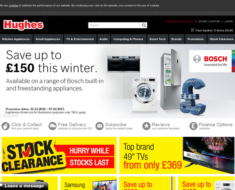 Hughes – £50 off Miele Under Counter Fridges and Freezers.